Before our 2019 Winter Training commences in January 2019, we would like to offer some additional Specialist Skills coaching sessions for our Junior membership before Christmas. 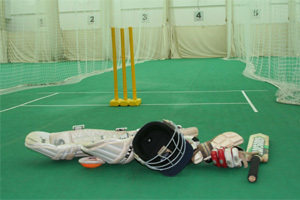 These would be specialist Batting, Bowling and Wicket Keeping sessions covering topics like Batting Fundamentals - Playing off the Front and Back foot, Batting against Pace and Spin, Bowling Basics, Seam and Swing Bowling, Spin Bowling, Bowling Variations and Wicket Keeping. • U12-U10 - Batting Basics (Front and Back Foot), Bowling Basics, Spin Bowling/Wicket Keeping, Batting Against Pace and Spin, Bowling Variations, Spin Bowling/Wicket Keeping. • U17-U13 - Batting Fundamentals (Front and Back Foot), Bowling Seam and Swing, Spin Bowling/Wicket Keeping, Batting Against Pace and Spin, Bowling Variations, Spin Bowling/Wicket Keeping. These sessions will be more drill based, using the bowling machine and with a small group of 10-12 per session be aimed at developing individual needs. They will not be a competitive net situation with batters facing bowlers or involve games. Those types of practice are more appropriate as we get nearer the new season. These sessions will give Juniors, who want the opportunity for extra cricket training, a chance to reinforce basic skills and work on areas of their game which will benefit from development. The sessions are therefore more appropriate for those Juniors who respond well to practice, are willing to try different approaches and want to self-learn in a smaller group. We obviously have to cover the cost of Sports Hall hire and at this stage we envisage the cost of the sessions to be £11. The sessions will be run by myself and other qualified coaches from the Camberley CC coaching team. We therefore would like to hear from parents who would like a place for their child or children on any of these Specialist Skill sessions and to specify which ones. We will then book the KIC Sports Hall and send you a booking form as well as the usual payment details. To help us decide how much of this programme we run we need to hear from you by early October.